2015 has not been very kind to me so far with sewing projects. I had a string of sewing/shopping disasters, so I finally got fed up and took a break from anything costume-related for most of February. 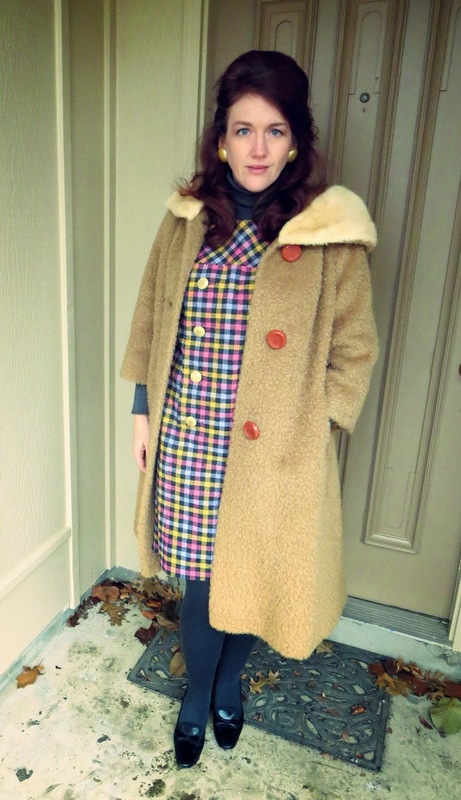 But inspiration comes from the strangest places, and for me, it was seeing the horribly tacky 60's/70's clothes in the new Mad Men promo pics. I know most people would run screaming from all that pastel, plaid, and big hair, but I love it like crazy! 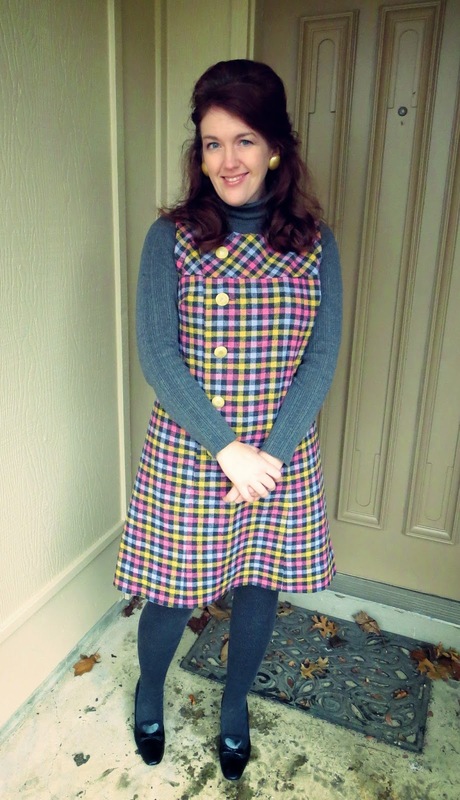 It's hideous and glorious and it made me want to sew something RIGHT NOW, so yesterday I whipped up my own pastel plaid monstrosity to wear to a retro-themed bowling event today. It felt great work on a no-stress dress for a change, and hopefully it will help me get my sewing mojo back on track again. 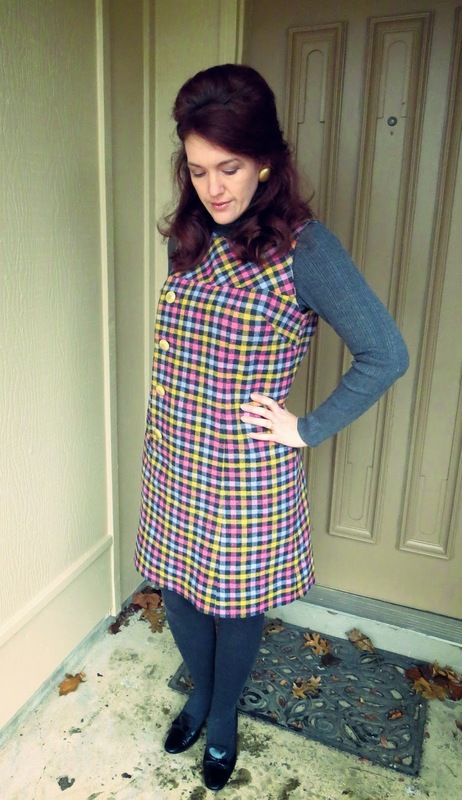 To make my dress, I used a very simple mail order jumper pattern from the late 60's or early 70's. 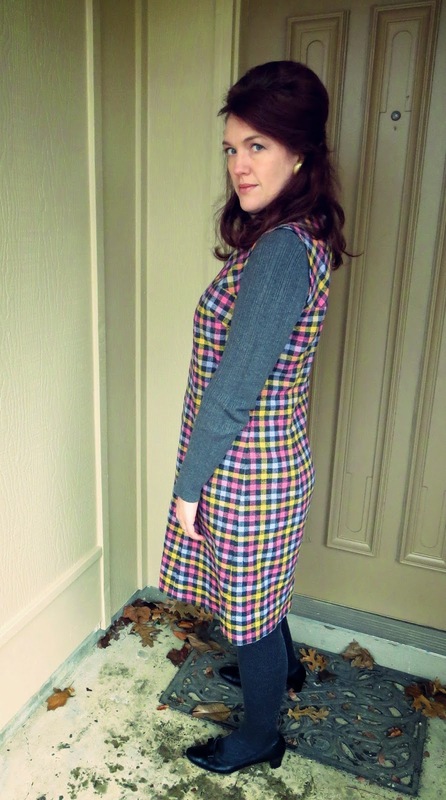 The fabric is vintage wool plaid that I found at an estate sale many years ago. 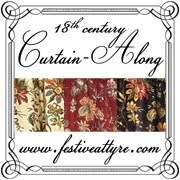 This is actually my second garment that uses this fabric - it also made an appearance in a pair of Victorian pants. What can I say? I LOVE crazy plaids! The dress is finished off with a few vintage buttons that were given to me by my mother-in-law, but unfortunately, I wasn't paying attention and make the dress button on the wrong side. Whoops! 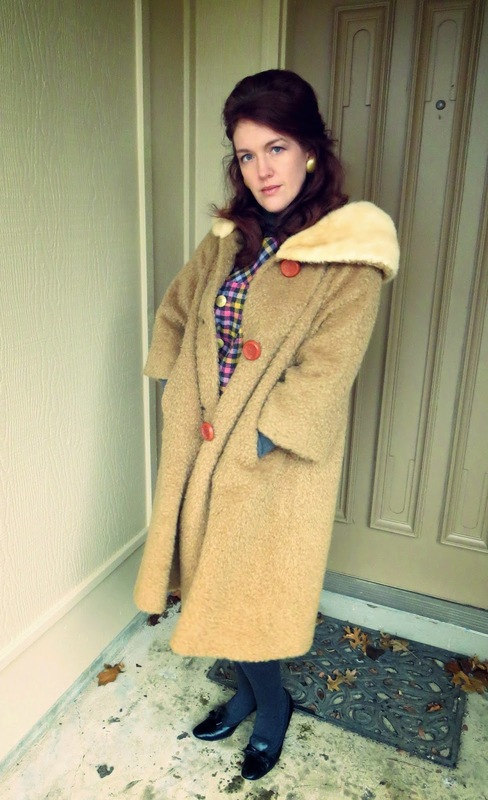 I also used today's outing as an excuse to wear my Vintage Coat of Awesomeness. That was another amazing estate sale discovery. God, I love that coat! So that's about it. It was fun to make, fun to get dressed up, fun to do something different, and fun to indulge in my Mad Men obsession. A perfect palate-cleanser project.